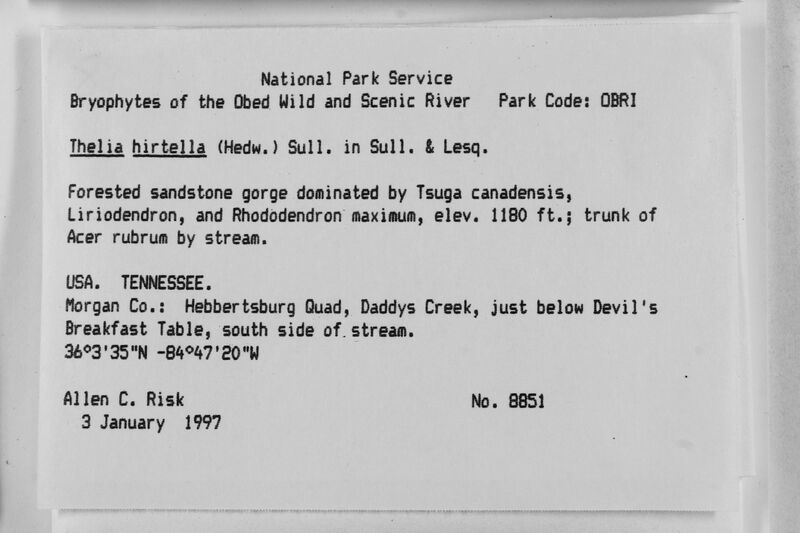 Locality: United States, Tennessee, Morgan, Obed Wild and Scenic River. Daddys Creek, just below Devil's Breakfast Table, south side of. stream. Habitat: forested sandstone gorge dominated by Tsuga canadensis, Liriodendron, and Rhododendron maximum trunk of Acer rubrum by stream.